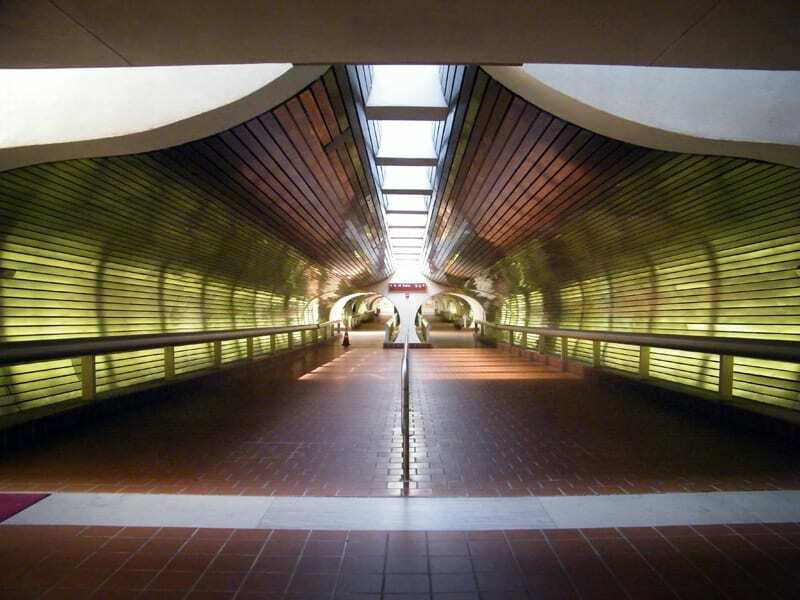 The definitive guide for everything about the Harlem Line. 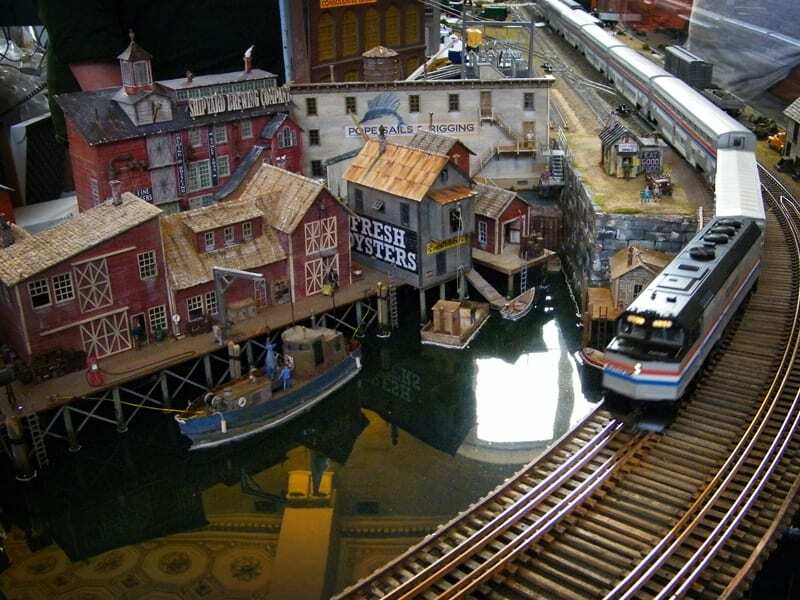 Available for purchase at the Danbury Railway Museum. 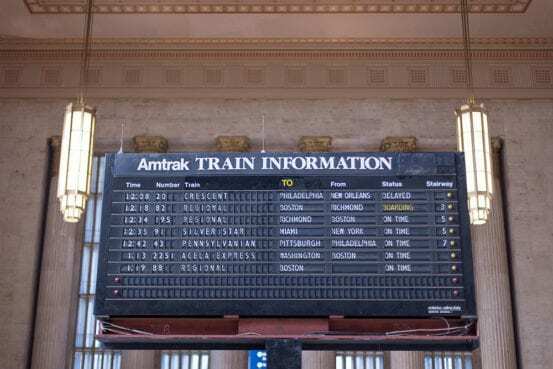 Stiles compellingly demonstrates that two diaries Renehan claimed to use to support his most sensational claim, that the Commodore suffered from syphilitic dementia for the last decade of his life and was no more than a puppet run by his son William, are imaginary. 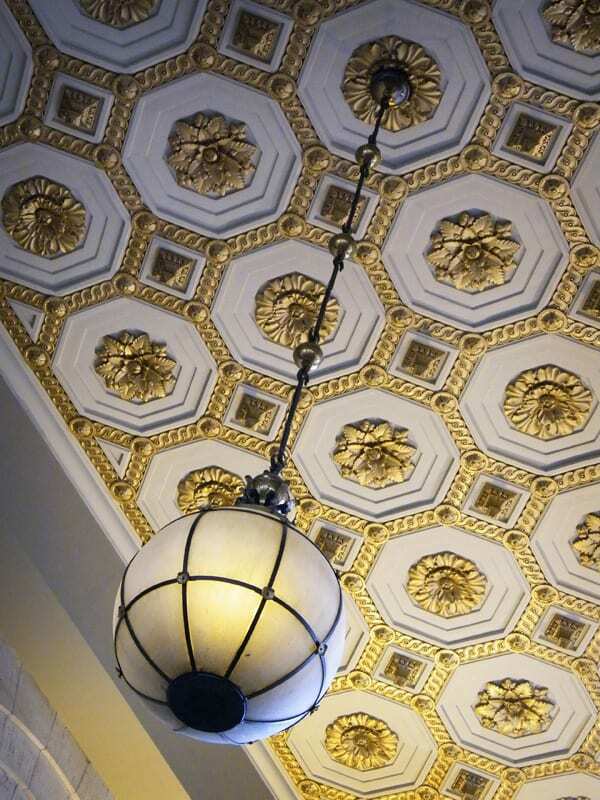 Renehan’s tale is contradicted by everything we know about syphilis; he refuses to let anyone examine his copies of the “diaries;” he refuses to name the present owners of the diaries; and, oh yes, he is currently doing time in New York for having stolen and sold letters by Washington, Lincoln, and Theodore Roosevelt belonging to the Theodore Roosevelt Association, of which he had been acting director. 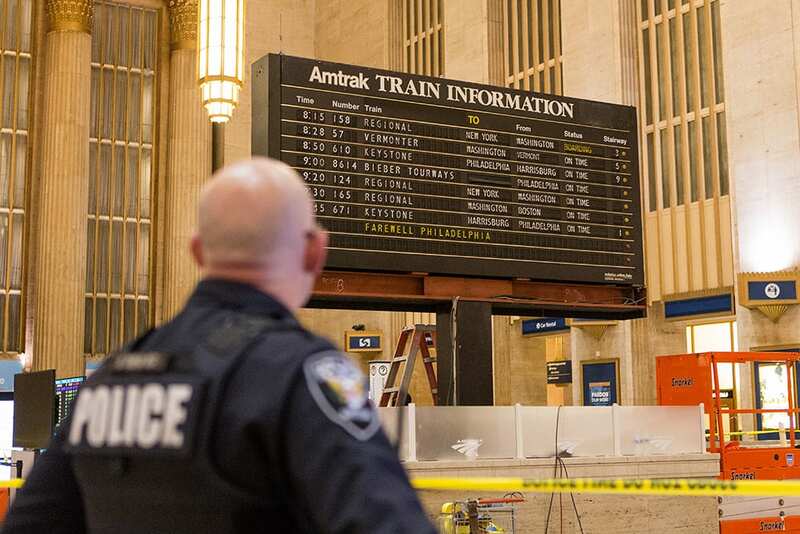 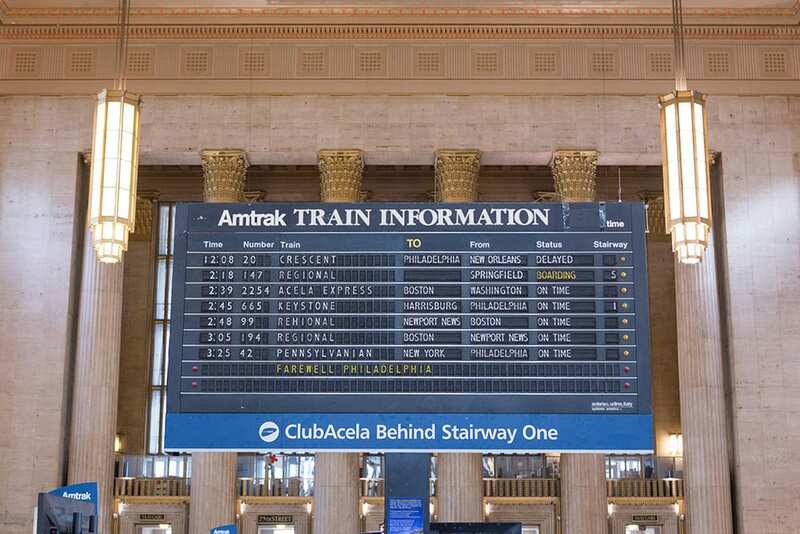 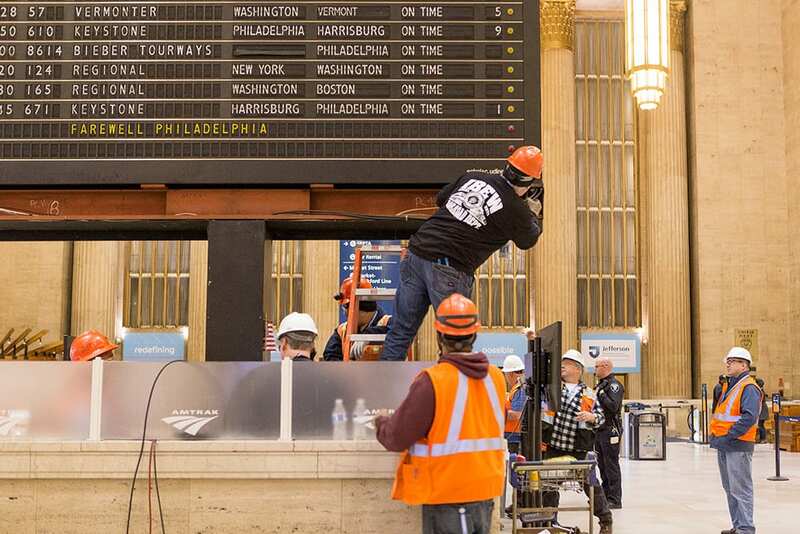 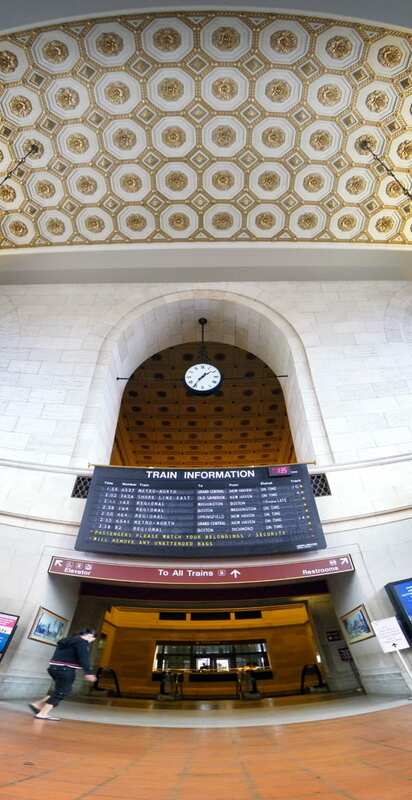 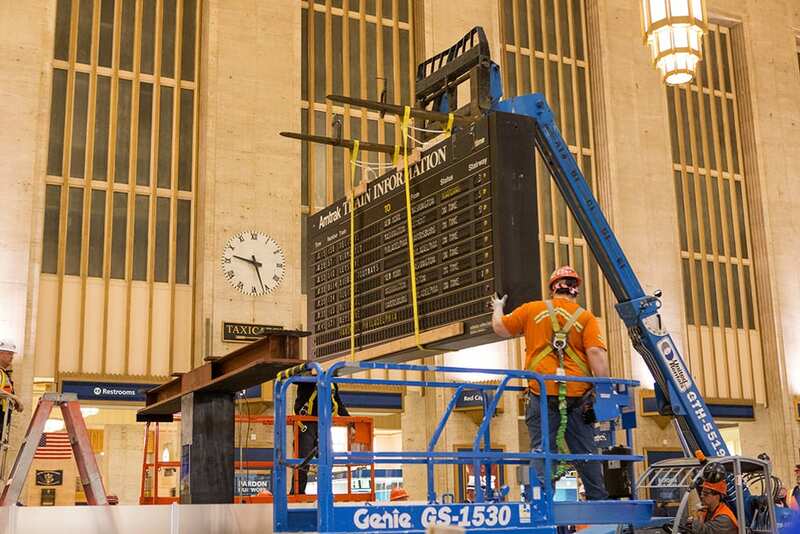 Whether you knew the name or not, if you’ve ever been to Grand Central or Penn Station, you are familiar with a Solari departure board. 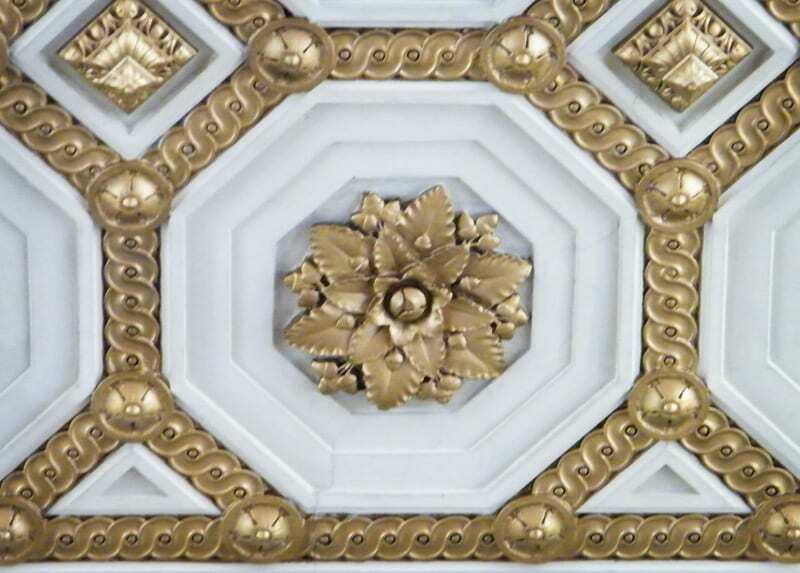 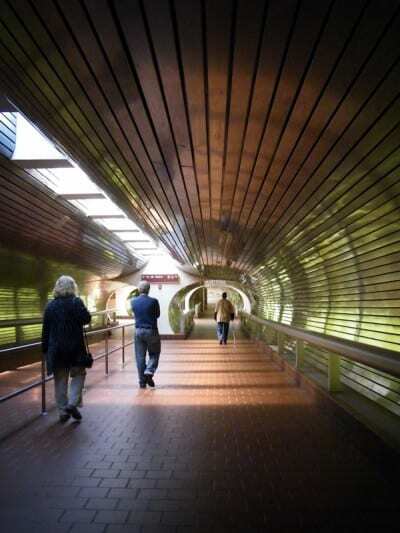 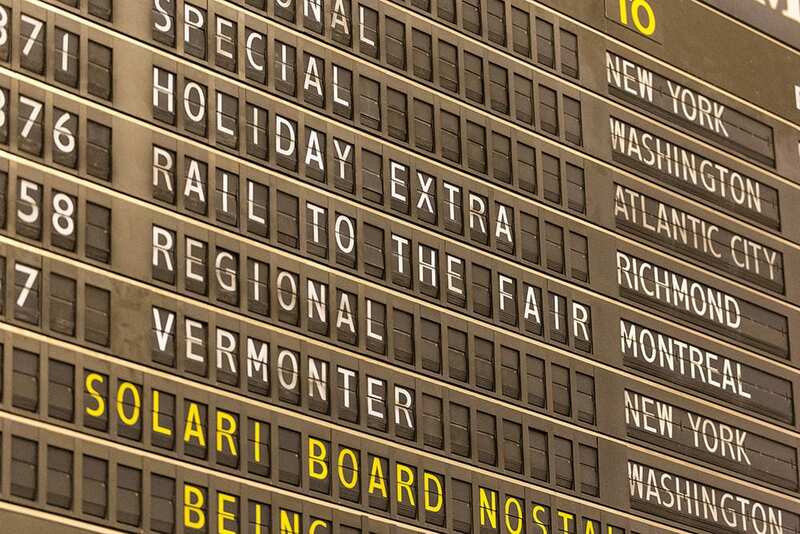 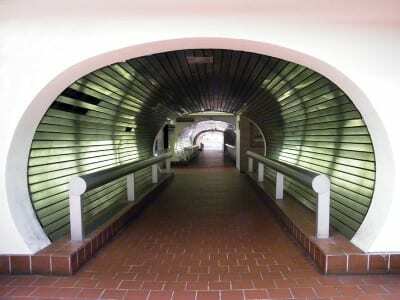 Since the 1950’s Solari boards have been installed in airports and train stations worldwide. 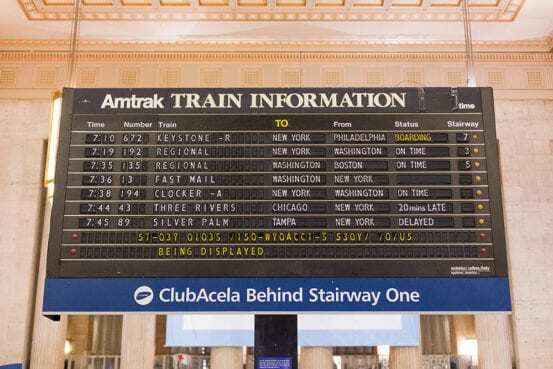 Although most people refer to the original flap style boards as Solaris, the company also produces more modern LCD and LED display boards, such as the one that is now in Grand Central. 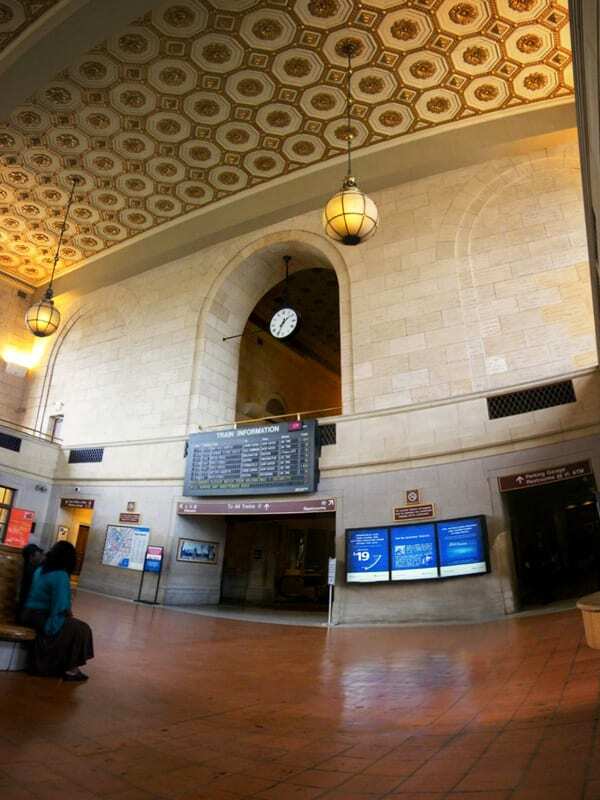 On Monday I showed some photos from Union Station in New Haven, the last Metro-North location to have one of the Solari flap-style displays. Most unfortunately, that sign is going to be replaced. 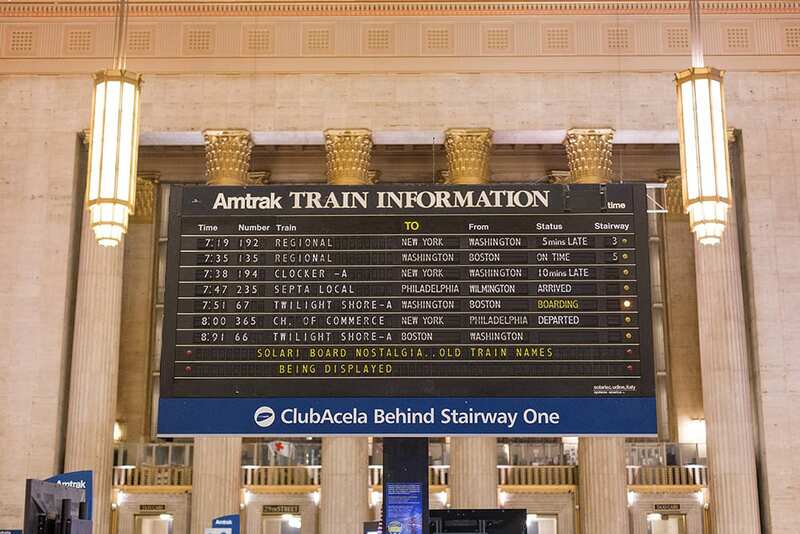 In honor of that board, and of Solari’s functional yet elegant contribution to rail and public transport, I thought I’d feature the history of the company this Friday. 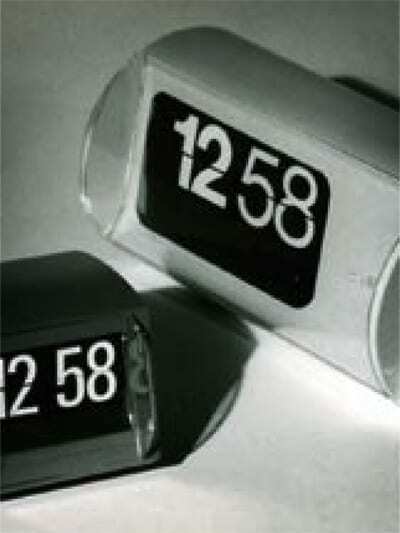 Solari split-flap clocks. 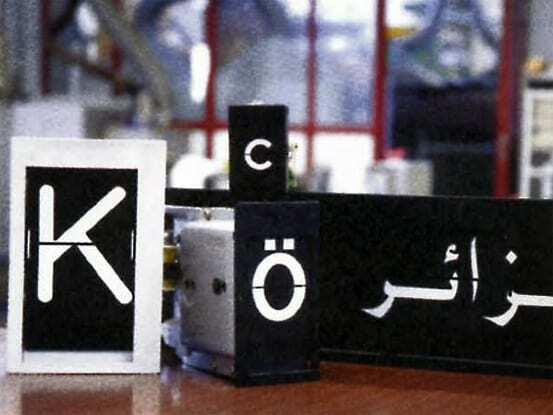 Silkscreened flaps. 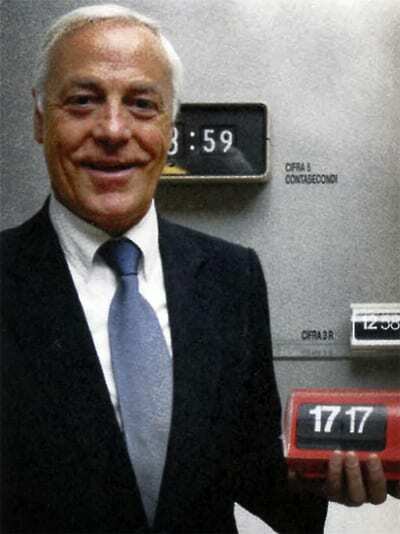 Massimo Paniccia, president of the Solari company. 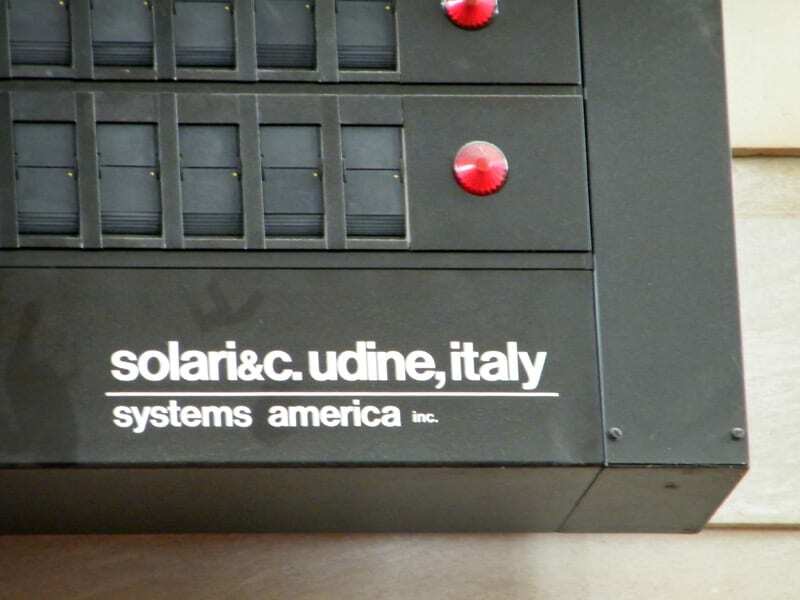 Solari is based in Italy, and has roots back to the 1700’s, where they produced timepieces and later on, clocks for bell towers. The current incarnation of the name is from brothers Remigio and Fermo Solari, who broke from the original family business and established their own business also under the name Solari. 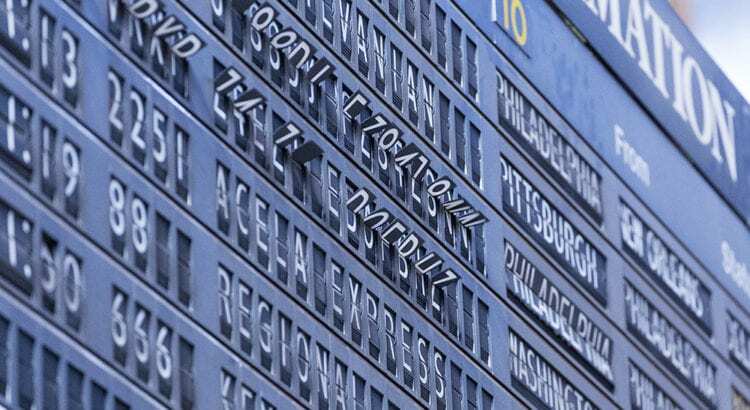 Remigio was a self-taught engineer, and it was he who invented the iconic flap display which many are familiar with. 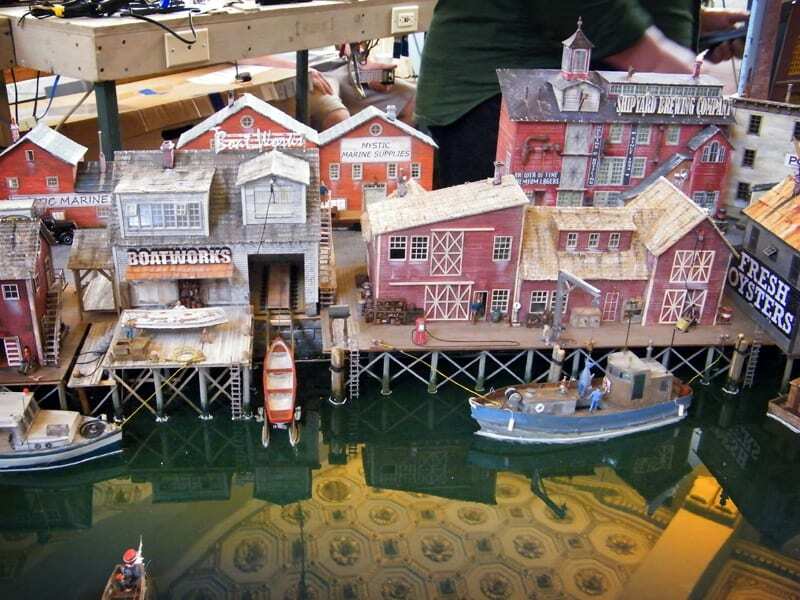 The idea was used in both large and small scale: from large departure displays used by railroads and airports, to small clocks for the home. The flap display was introduced in 1956, and was installed in airports and rail stations across the world. The design used various metal (and later, plastic) flaps with silkscreened information, all which were mounted on a wheel. 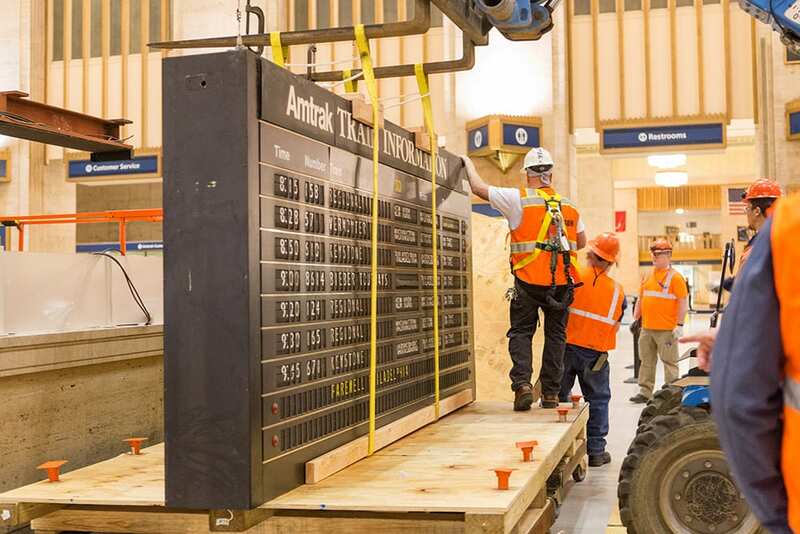 Each wheel could hold up to 40 flaps. 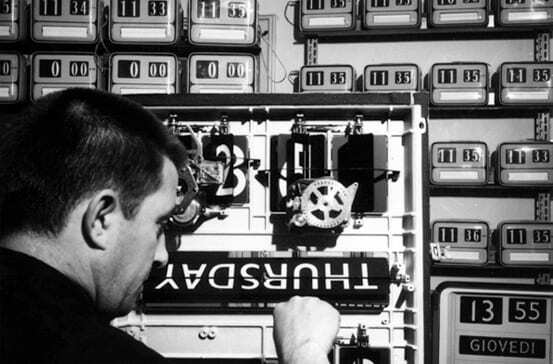 When the information on the board had to change, the wheel was rotated until the proper flap was displayed. 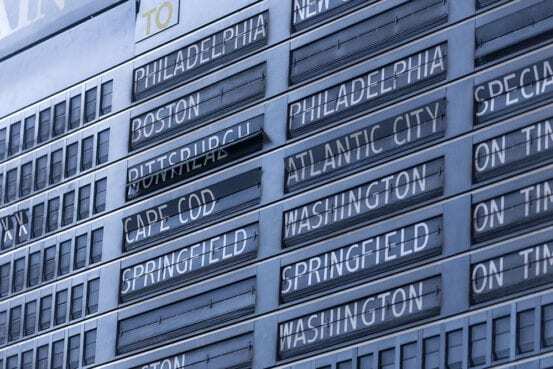 With each flip, the board made a particular clack, which is so memorable to passengers that when Boston replaced their Solari flap display with an LED display in 2004, they kept the noise. 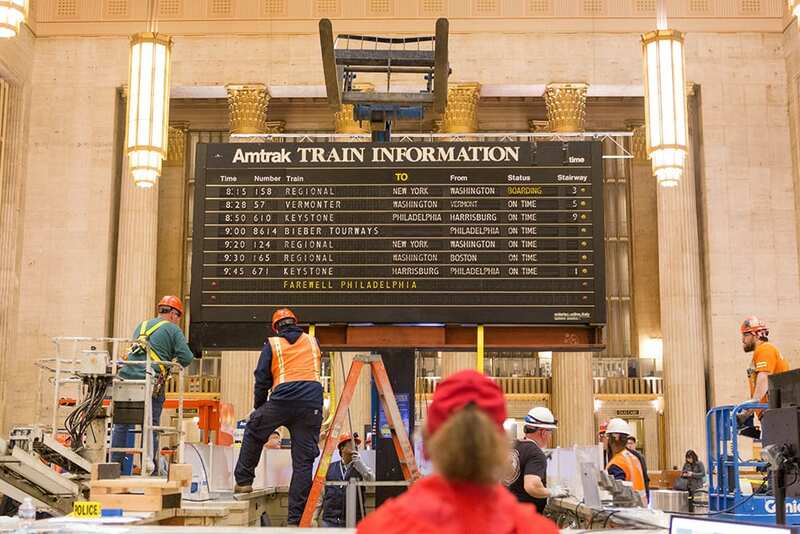 It plays over a loudspeaker to alert passengers that the information has changed (Though I’ve heard from a commenter that it doesn’t do a very good job at imitating it). 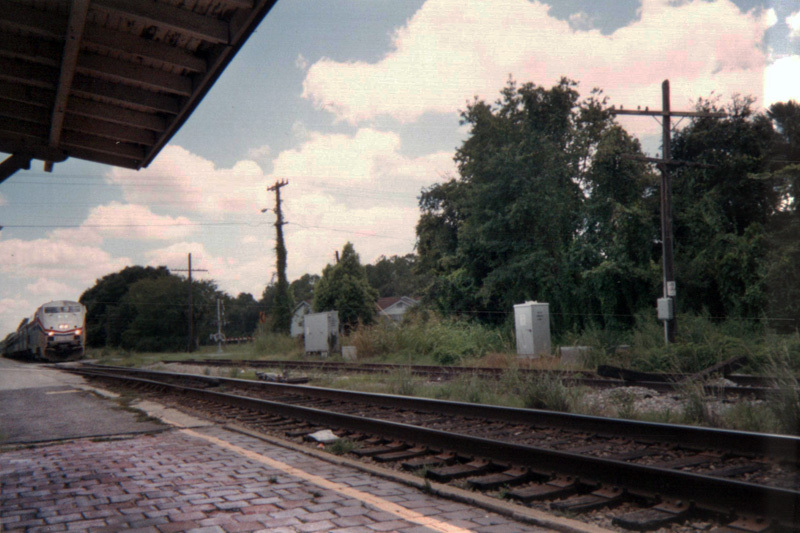 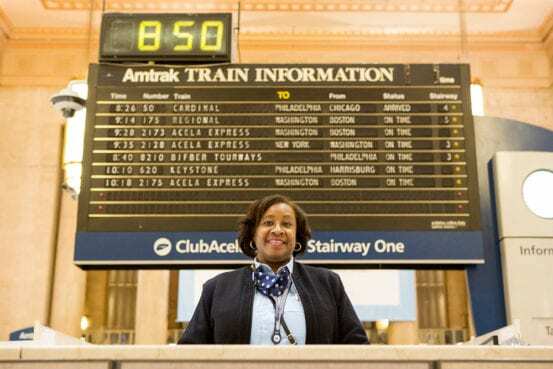 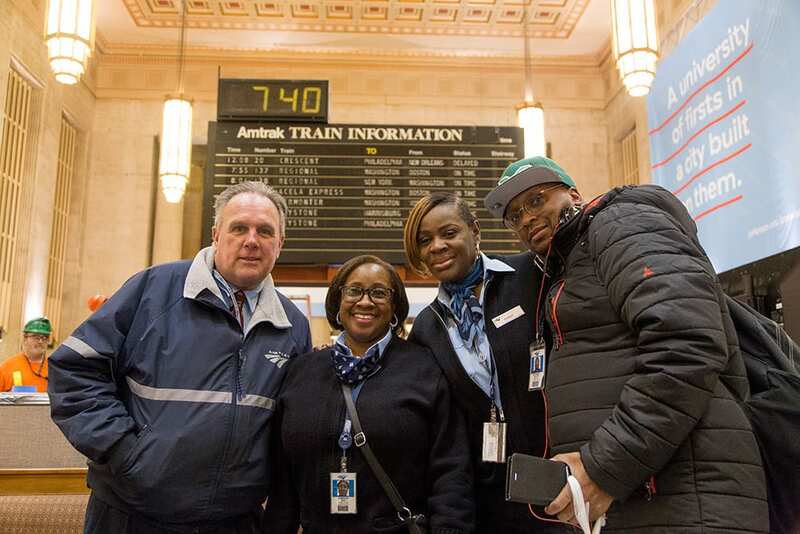 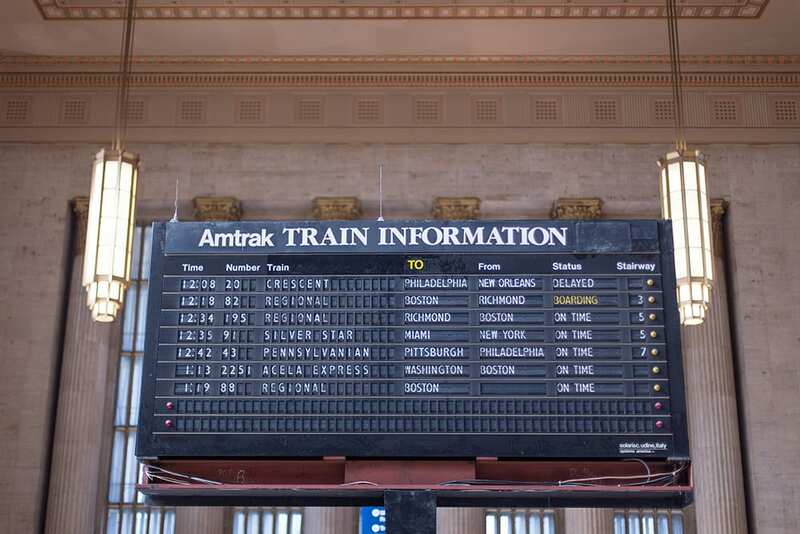 As a young girl I remember my first train ride on Amtrak: I was travelling with my grandmother from Penn Station to Jacksonville, Florida. 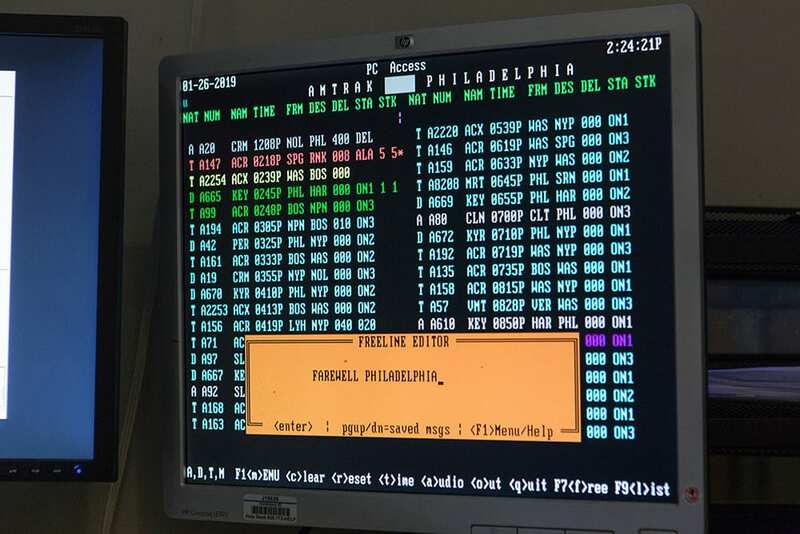 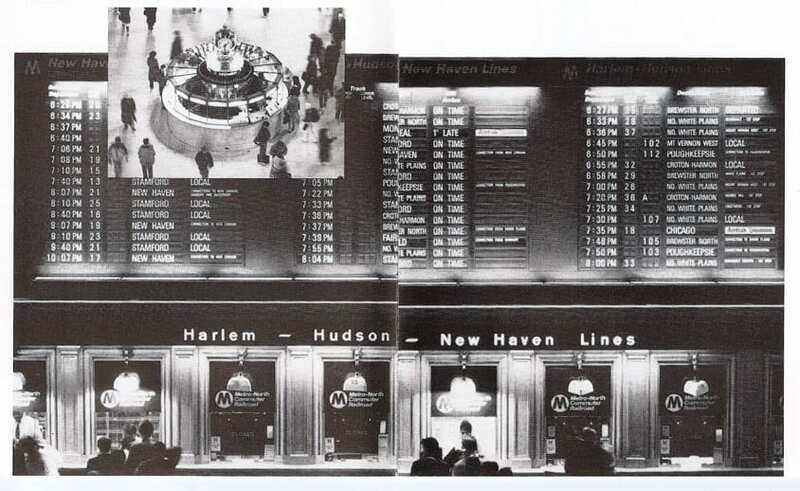 I remember seeing that flap display in Penn Station, and being mesmerized. 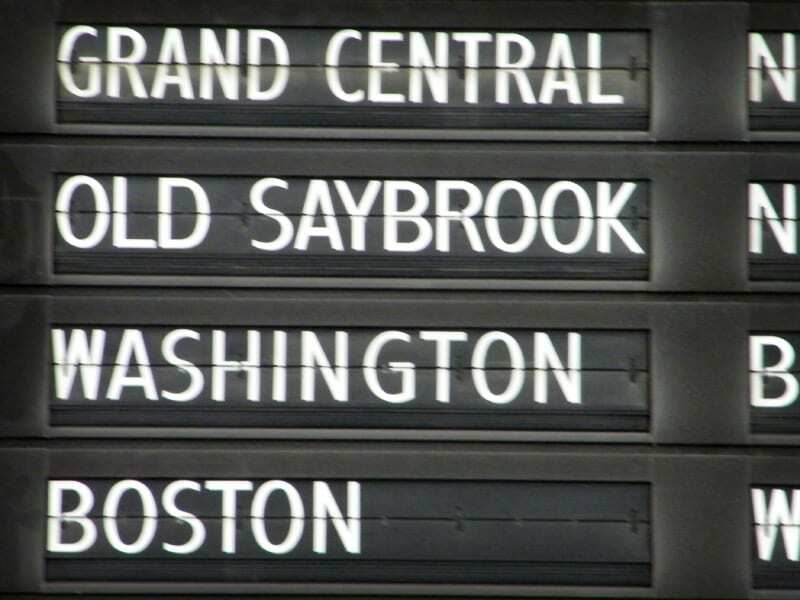 Today, that flap display is gone: it was replaced in 2000. 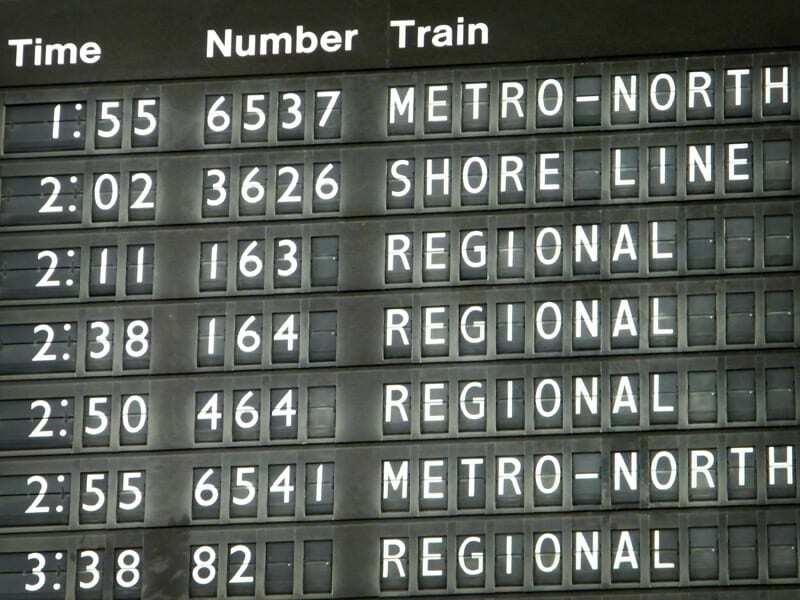 Long Island Rail Road’s flap display, also in Penn Station, was replaced in 2003. 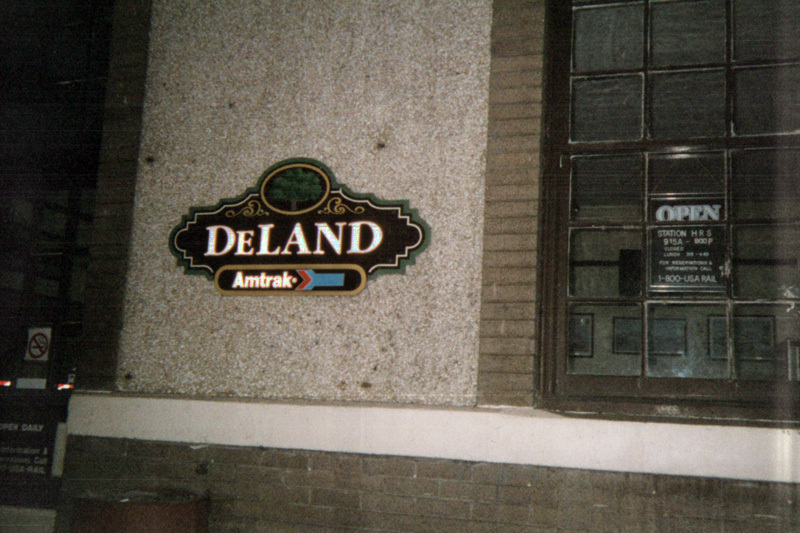 During the New York Central days, Grand Central also had a Solari display, perhaps one of the most famous. 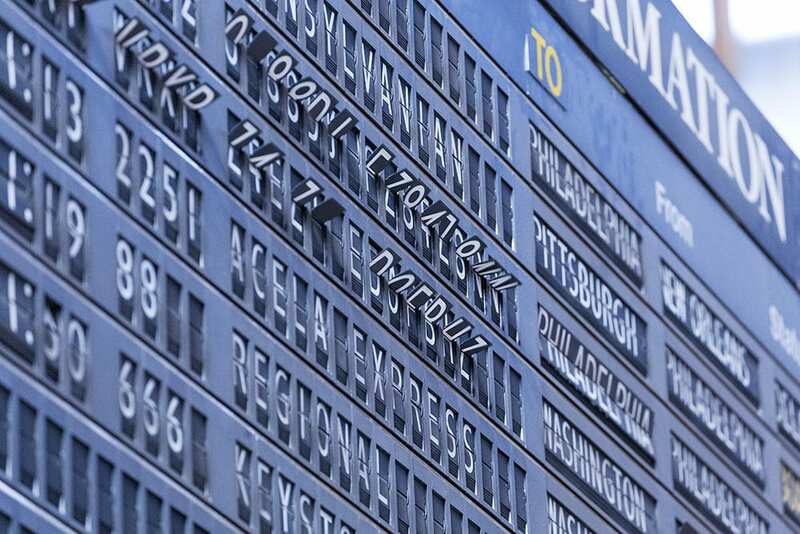 I’ve tried digging up information about that board, but I had some difficulty. From what I can gather, that Solari display was later replaced by another split-flap display, though not made by Solari. This other board, called the Omega Board, was used by Metro-North until it was replaced during the station renovations in 1998. 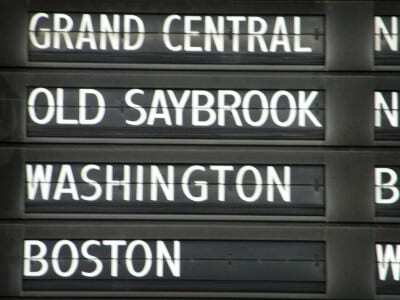 The current departure board in Grand Central was made by the Solari company, though it is one of the more modern LED-style boards. 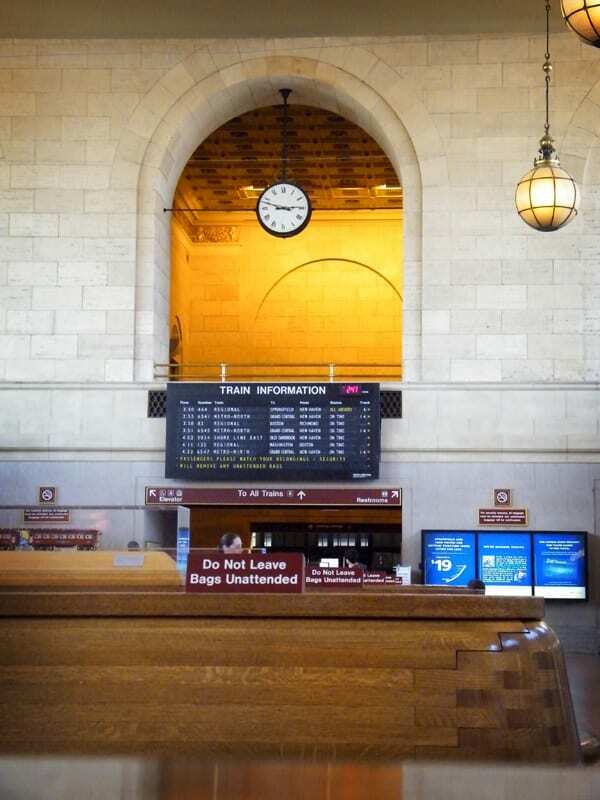 The Solari display in New Haven’s Union Station, which will be removed shortly. 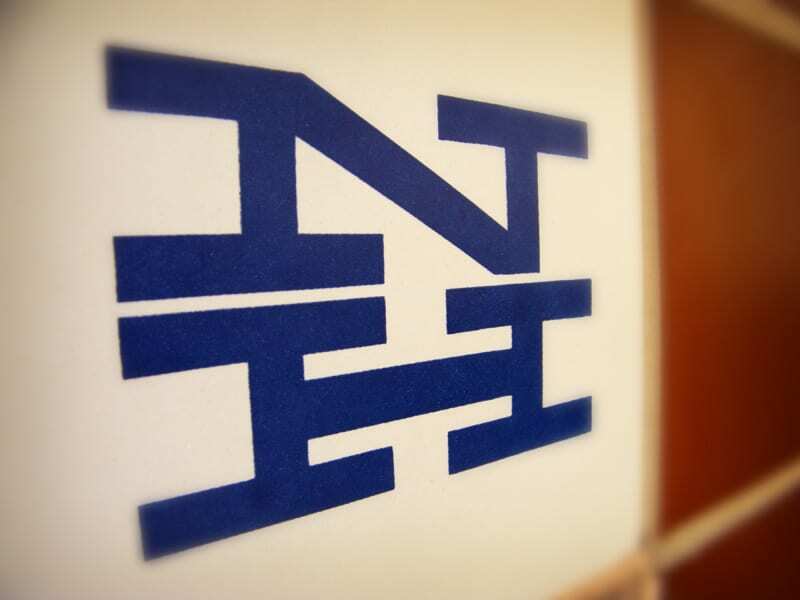 Despite growing up in Connecticut, about halfway in between Waterbury and Danbury, both New Haven line branches, I’ve only been on the New Haven line once. It was always easier to cross the state border and get on in Brewster, or Southeast (then Brewster North). 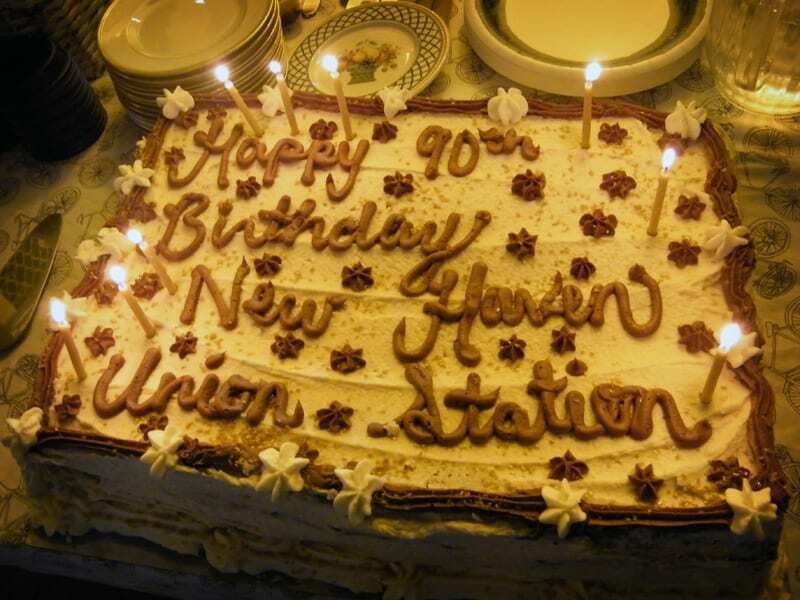 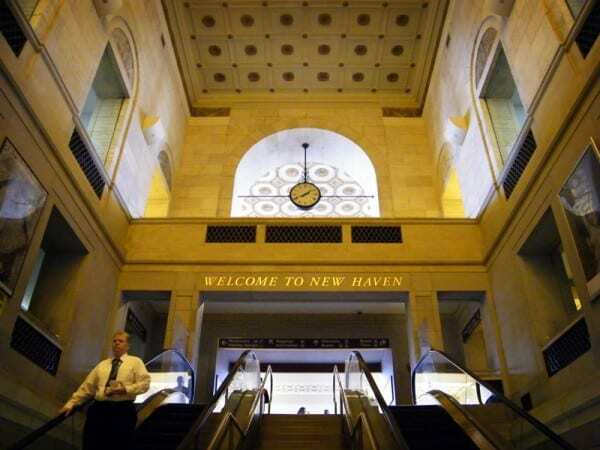 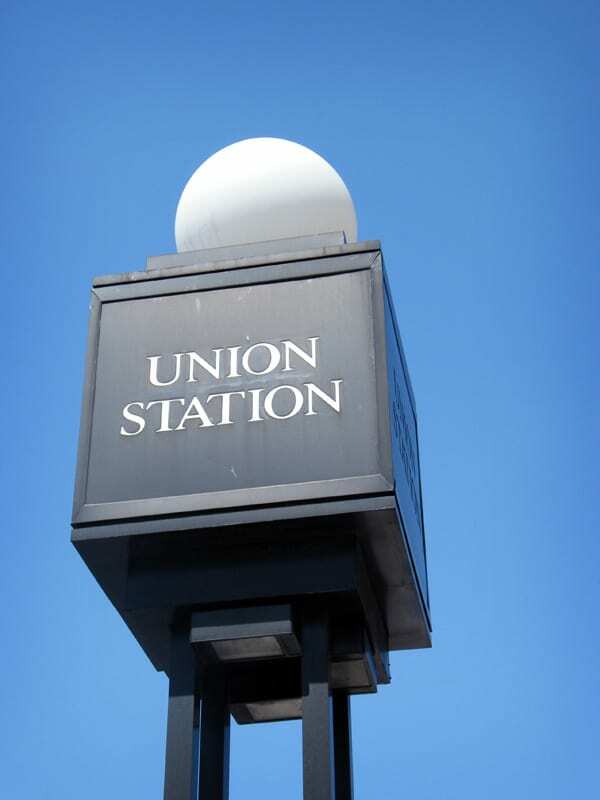 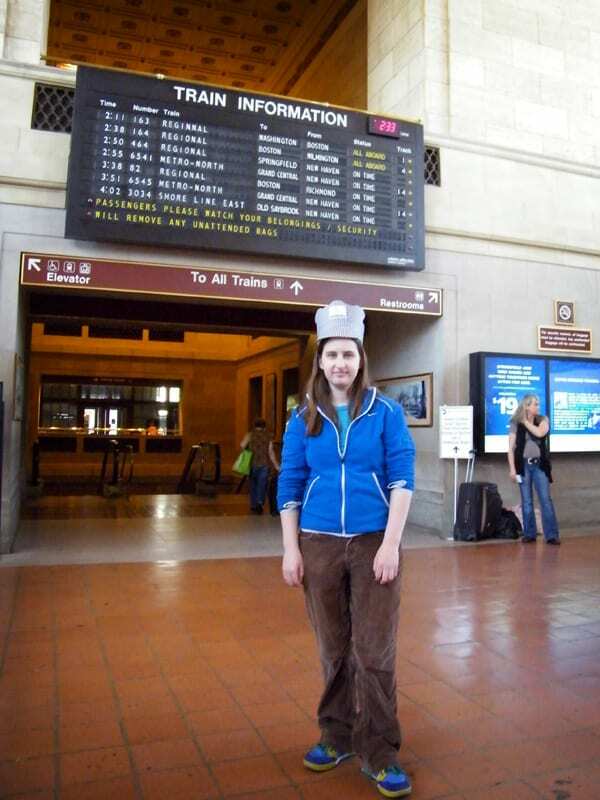 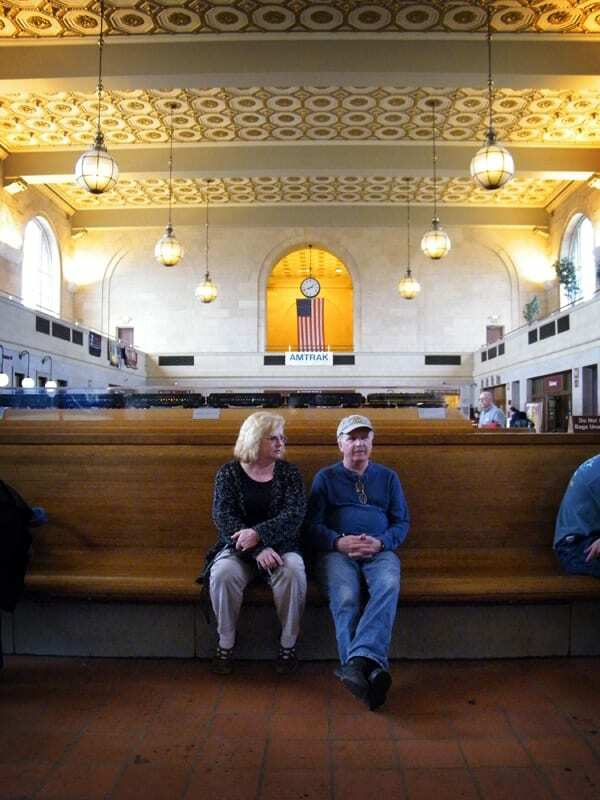 I’ve never been to New Haven’s Union Station, although I’ve certainly driven by it. But I can certainly relate to the current New Haven train riders that are now fighting for the last Solari departure board in use on Metro-North. 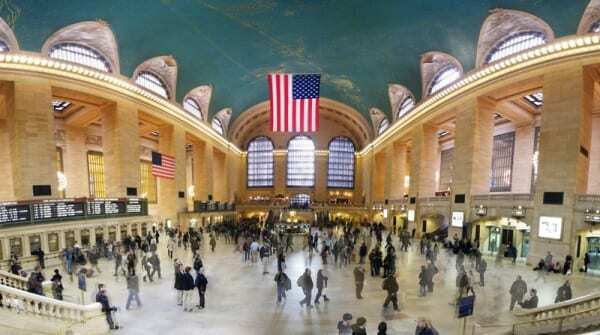 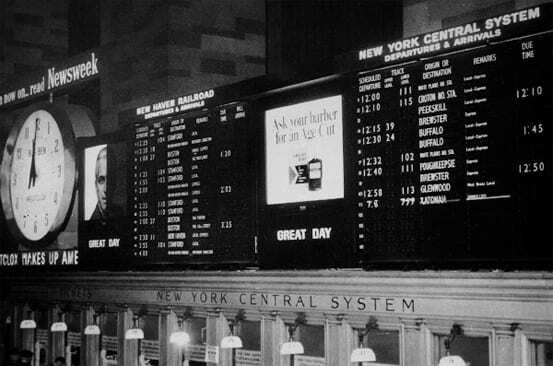 I don’t quite know why, but I really loved the Solari board that used to be in Grand Central when I was very young. 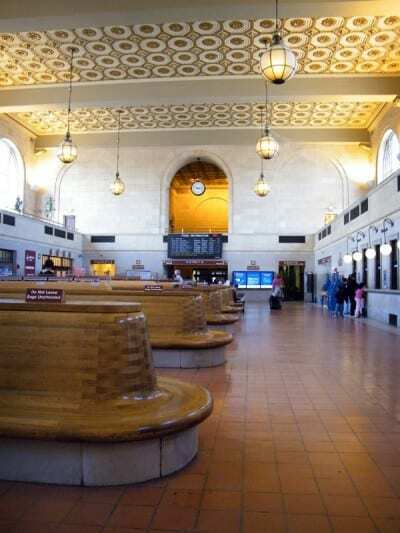 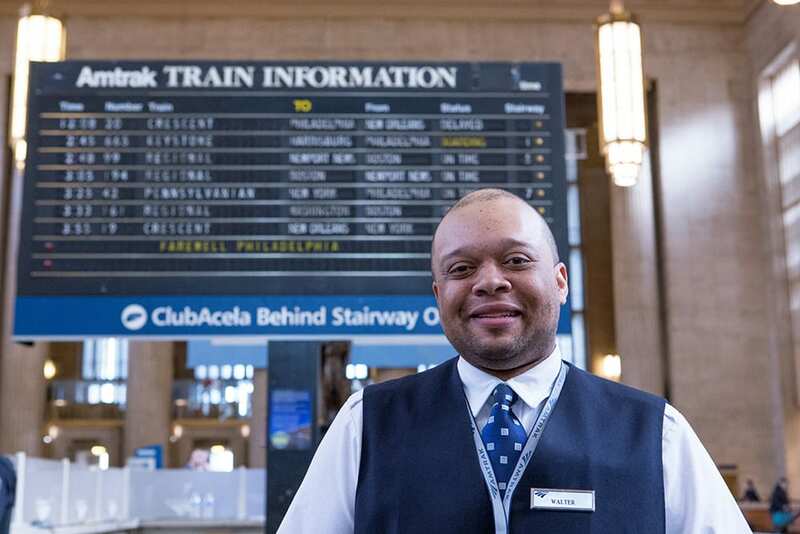 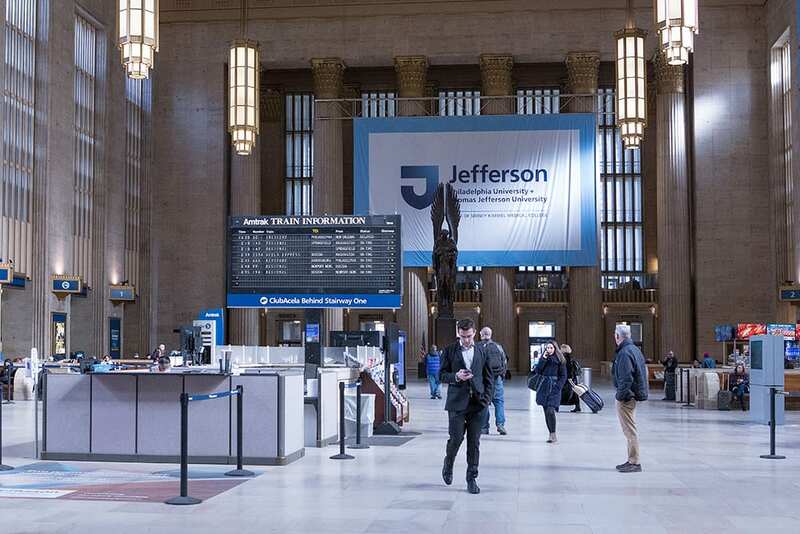 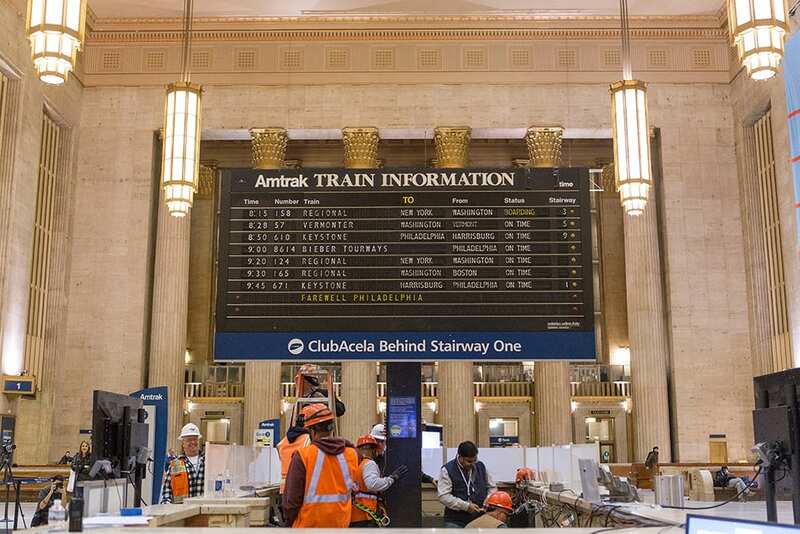 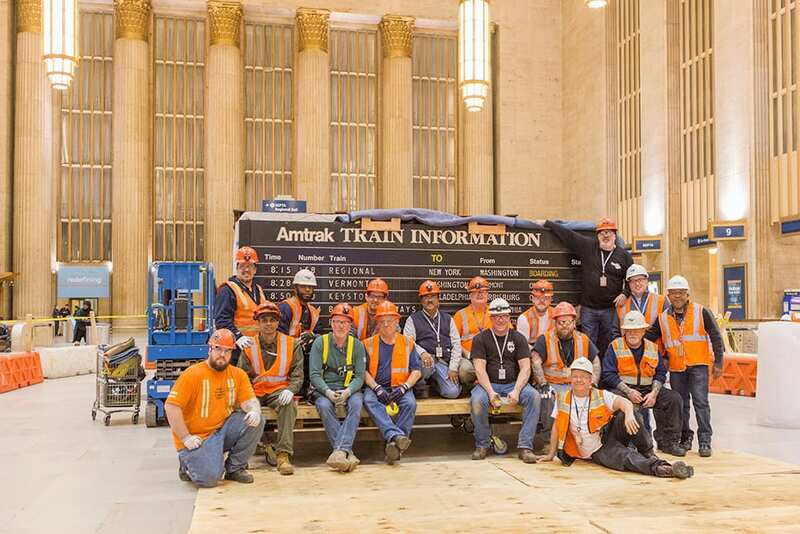 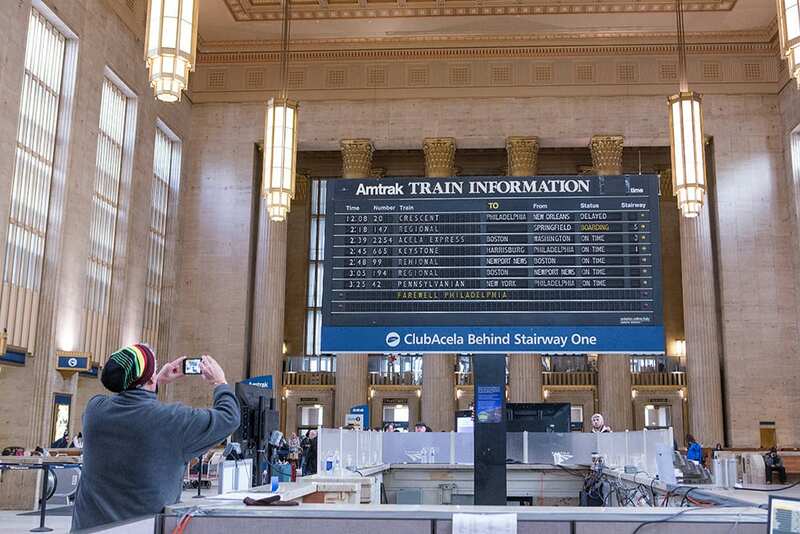 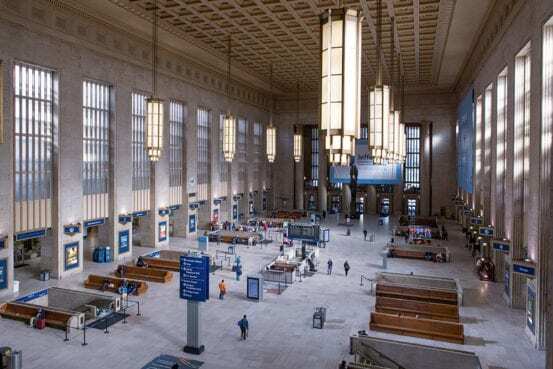 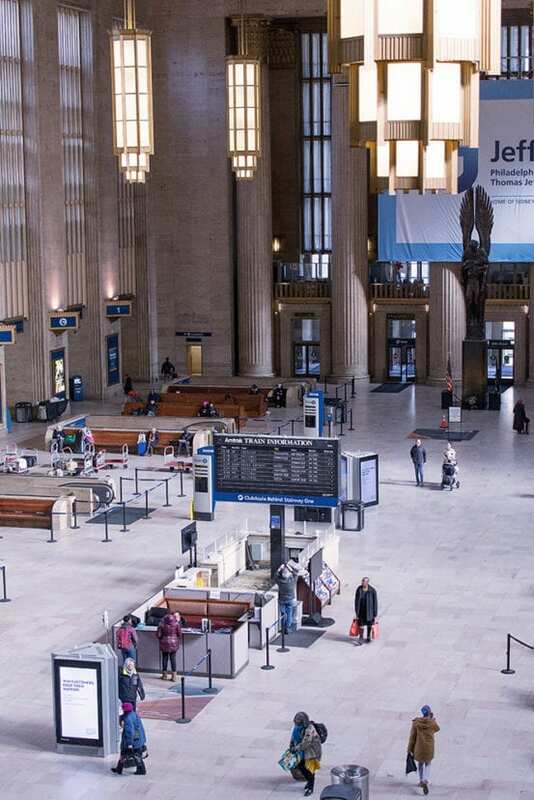 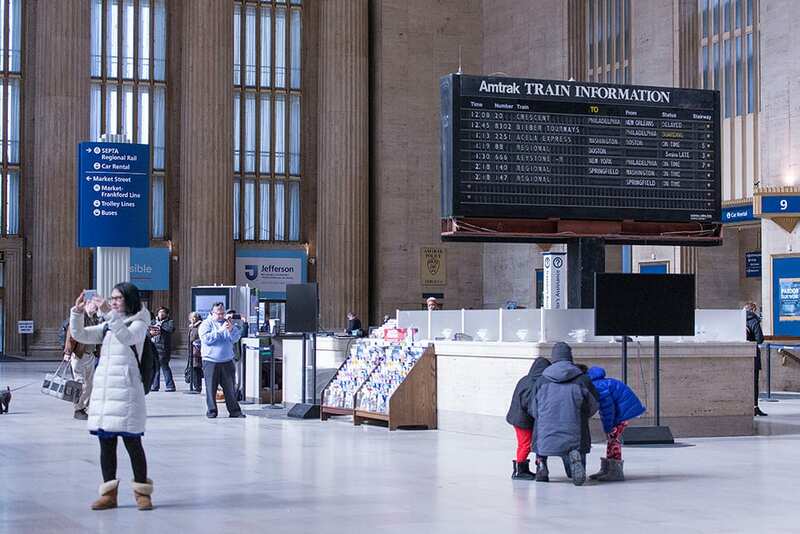 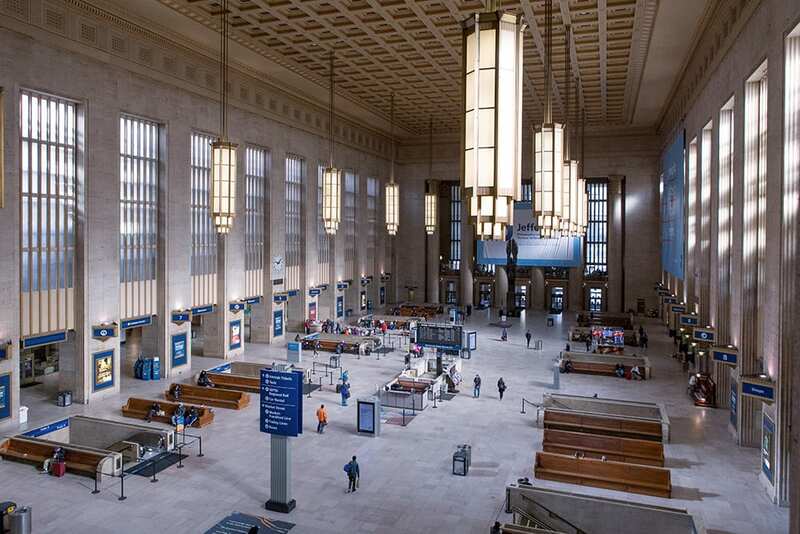 I remember standing under the Solari that was for Amtrak in Penn Station many years ago when I took my first ride on Amtrak, going to Florida with my grandmother. 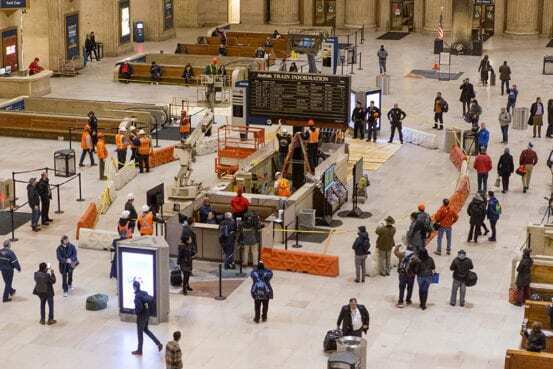 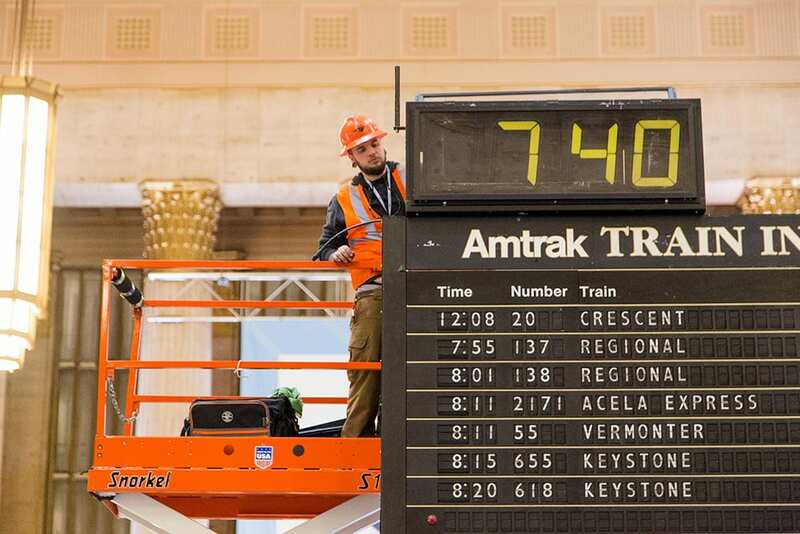 I even remember the board in use also in Penn Station for the Long Island Rail Road, under which everyone would stand waiting for the information on their trains to flip up, and when it did, would race like marathon runners to their tracks. 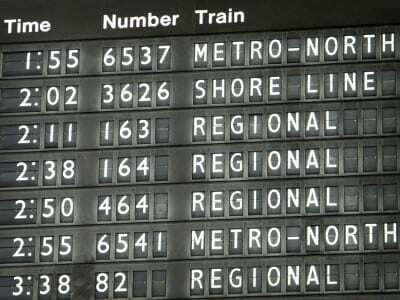 I remember all these, but today, they are all gone. 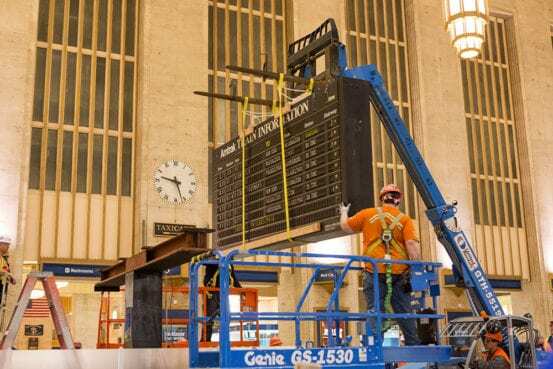 My two cents: if the Solari sign is hard to maintain, use the $5 million it was going to cost for LED signs as a reserve fund to fix the Solari sign if ever needed. 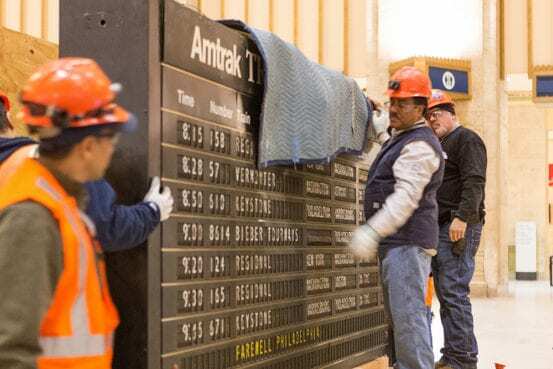 I really do love these boards, and I would hate to see it get one more of them taken down. 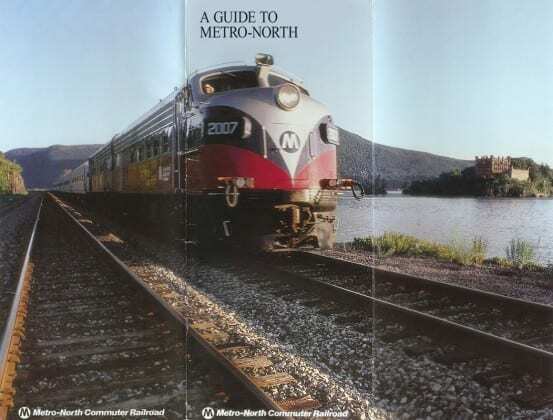 It ought to be kept for its historic nature, it is the last of its kind on Metro-North, and one of the few left in the United States. 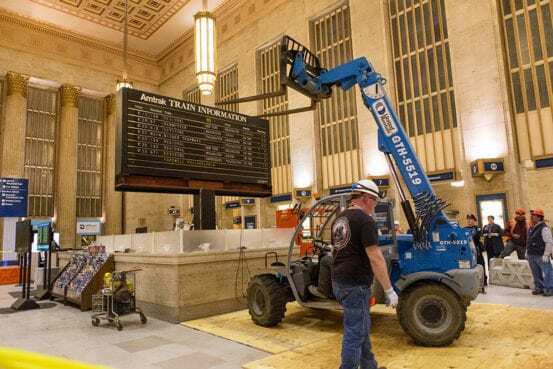 If the sign is going to get removed, I would love to see someone, like the Transit Museum, acquire it and put it on display. 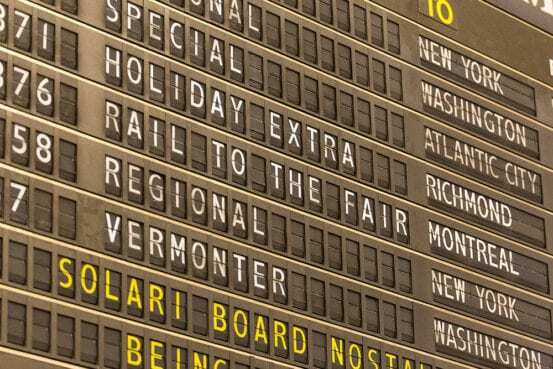 Considering the board is in Connecticut, however, I am unsure if it would even be considered for it to go to the New York Transit Museum, even though Metro-North is represented by the museum. Though the fight is on to save the board. 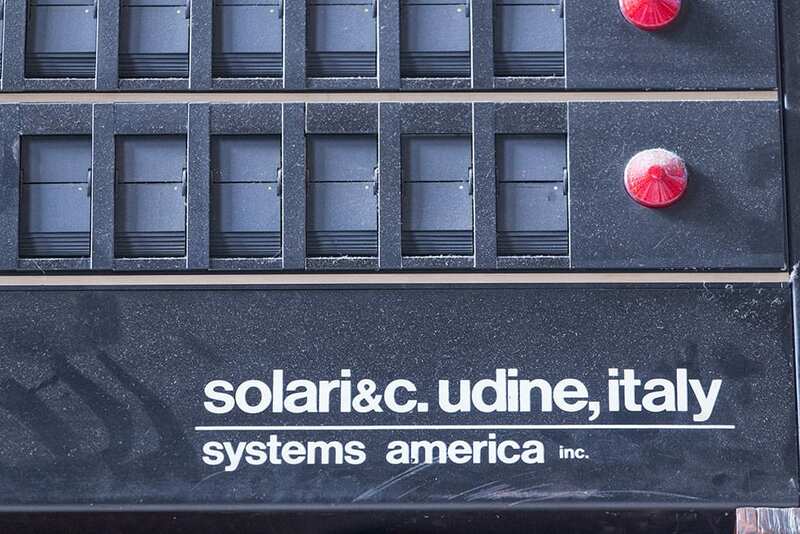 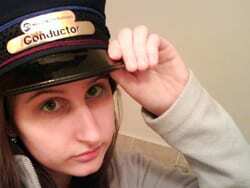 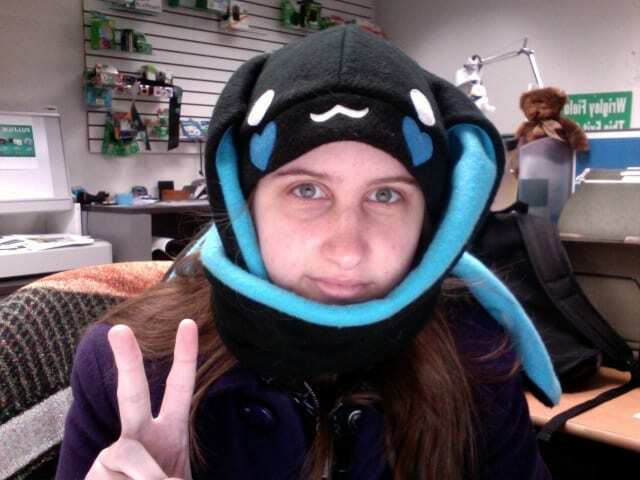 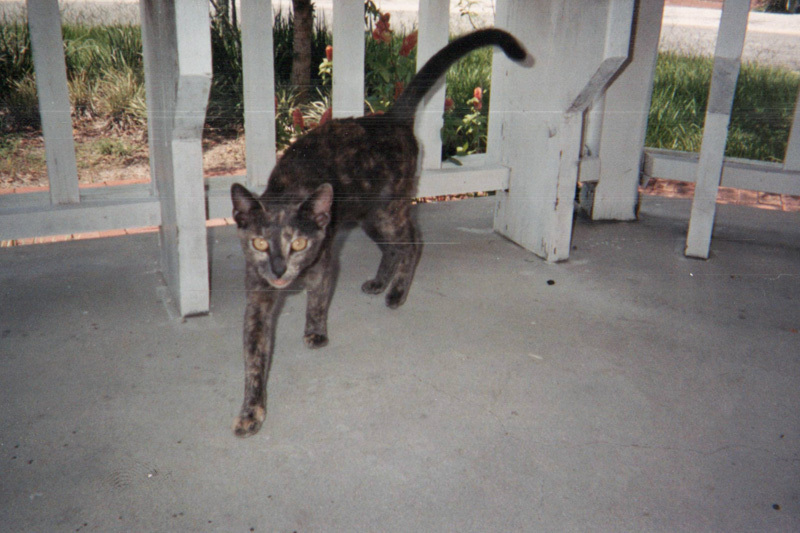 A group has been made on facebook called Save Solari, and there is also a page on SeeClickFix. 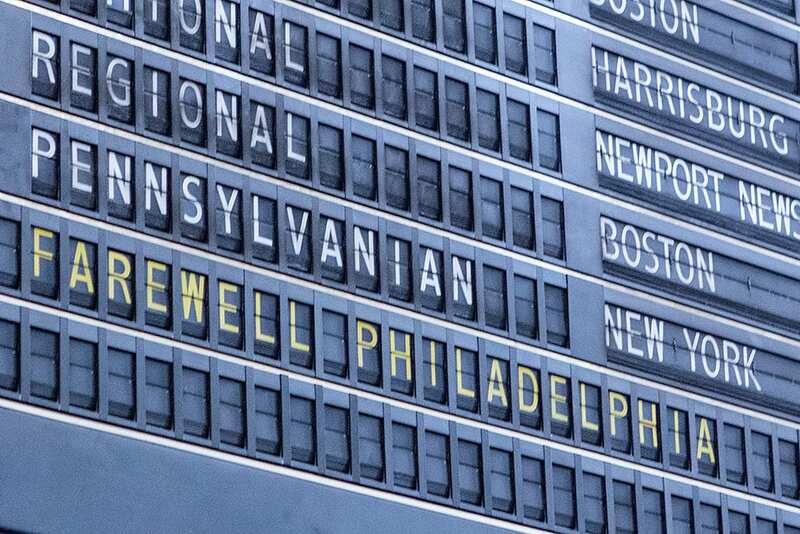 As for me, I do believe a photography trip is in order, especially if the unfortunate happens, and the board is taken down.